I thought this article to be so poignant and worth the read...I hope you like Arvind Devalia's article as much as I did. Gandhi led by example with a life of simplicity. Editor’s note: This is a guest post from Arvind Devalia, author of Get the Life you Love, and blogger at Make It Happen. Would you like to learn some lessons in life from the ultimate minimalist? Gandhi’s life offers us many key lessons — he practiced simplicity and minimalism in all areas of his life and he left behind a huge legacy in how to live a life of simplicity. Gandhi was indeed the ultimate minimalist – a man who died a pauper but who affected the lives of many – and continues to inspire us with his message even today. 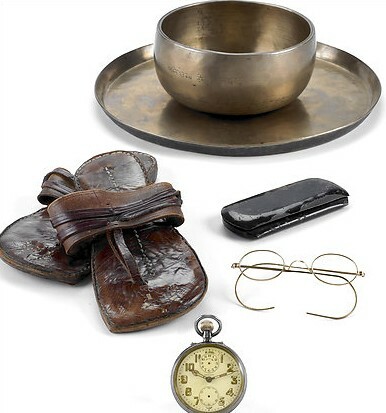 When Gandhi died, he had less than ten possessions including a watch, spectacles, sandals and eating bowl. He was a man of non-possession and didn’t even possess a house. Gandhi was actually born into a prosperous family and had a very privileged upbringing, which included a prestigious education in England in the days when travel from India to England took many months by sea. He studied Law at University College in London and he was subsequently invited to join the Bar there. Though born into wealth, he ultimately gave it all away and through the course of his life managed to let go of material trappings. He followed a life of simplicity. Gandhi believed in possessing little except the clothes he wore and some utensils for cooking and eating. He used to give away or auction any gift that was ever given to him. It may not be possible these days for us to get down to less than ten possessions like Gandhi did, but start cutting down to bare basics. Recycle, give things away, or auction your unwanted possessions. Take up the 100 thing challenge and see if you can get down to owning less than 100 or even less than 50 things. We tend to spend a lot of time and energy looking after our possessions. By having fewer things to possess and look after, your life naturally becomes simpler. Gandhi never had a problem with being overweight. He followed a strict vegetarian diet and frequently cooked his own simple food, which was locally produced. He ate this simple food from a small bowl, a reminder to eat moderately, and at the same time he ate mindfully, often accompanied by prayers. So eat simply and moderately. Gandhi wore simple clothes that conveyed his message. Though it may not be practical to weave your own cloth and make your own clothes, you can simplify your life by dressing for comfort, not to impress. A simple hairstyle can shorten your grooming routine. You could even go as far as Gandhi and Leo Babauta and shave your hair off. Gandhi never got stressed. He meditated daily and spent hours in reflection and prayer. Though he was a world leader and idolised by millions, he continued to lead a simple life with few distractions and commitments. He would even interrupt his political meetings to go off and play with children. And despite all his needs being taken care off, Gandhi still insisted on doing his own simple things. He advocated self-sufficiency and simple work. So don’t take life too seriously — remember to take time out to play. Though he was a prolific writer and powerful speaker, in private Gandhi spoke very quietly and only when necessary. He was also very punchy and concise in his writing. He preferred to let his life do the talking for him. By living a simple life, Gandhi was able to devote his life to his chosen higher purpose. He was totally focussed on his commitment to his people and the world. Even if you don’t wish to be another Gandhi, your life will be much simpler and happier by following his life lessons. Start living a simpler life from today — and you will release a lot of time and energy. This will give you the space to create the life you really want to live, a life that is inspired and inspiring. So does what you do and how you live convey your message to the world? This is a guest post from Arvind Devalia, author of Get the Life you Love, and blogger at Make It Happen. Yesterday I had lunch with a wonderful Buddhist friend at my favorite diner. The conversation was great and the vegetarian cuisine out of this world (as it always is at Amy's Place on Buffalo, New York)! Being present doesn't just mean floating in the present moment. I can "be" in the moment, dwell if you will, and REALLY notice the moment. Appreciating the present, smelling the flowers along the way. When I do that I am able to focus and concentrate on the "stuff of life." It feels great to breathe, take note of my surroundings, be grateful....and smile! Sometimes, just sometimes, during mindful meditation, my mind will wander from concentrating on the breath. What does that mean to me? It certainly sets me back into a position to get clouded and, invariably, suffer if I don't gently reign it in. Meditation has been practiced in one way or another for thousands of years. I suspect every practitioner throughout the ages have experienced what I have been experiencing lately. Letting myself get down about it is not the answer. This Buddhism, path to enlightenment, thing is not easy. No one ever said it was. Being set back implies that I expect something from the meditation itself...a feeling, a place in my general psyche. Mindful meditation seeks no goal. Sitting, kneeling, on a mat or zafu, in a chair....has only one point in mind: NOTHING. Zip, zero, nada. The point is to be empty. To concentrate on the breath. I practice other meditations as well and then concentrate on various points to improve or progress along my path, but mindful Zazen is the base form of meditation for me. 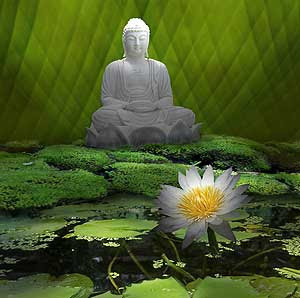 With mindful meditation one can prepare themselves to be open enough to practice other forms of mediation (Metta, etc.). Meditating on the Seven Limb Prayer for instance or chanting the Heart Sutra is essential to a healthy Buddhist practice. As a human being that is responsible for my own suffering, I must gently bring myself back to the basics of mediation. 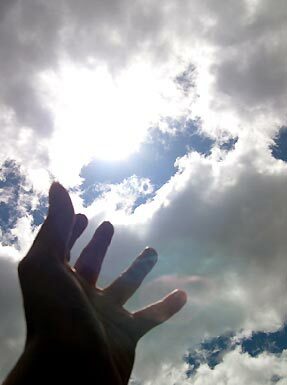 I then can be of ultimate service to all beings....after all, isn't that what this fleeting, precious life is all about? Probably the most frequently asked questions for those trying to simplify their lives isn’t How Do I Simplify, but rather What If Others in My Life Don’t Want to Simplify? It’s an amazingly common problem, and one that doesn’t have an easy answer. However, there are things you can do if your significant other, family members, friends, co-workers or others in your life are standing in the way of finding simplicity. I’m lucky in that my wife, Eva, is incredibly supportive and in fact has joined me in my journey to simplify. She has eliminated a lot of her stuff, has streamlined her life, and while she’s not quite as minimalist as I am (who can blame her? ), she’s come an amazingly long way and I’m proud of her. But that didn’t happen by accident — I engaged Eva from the beginning, got her on my side, and didn’t push or try to force her to do anything (well, usually — I don’t claim to be perfect). And of course, what’s most important is that she genuinely wants me to be happy and to succeed in anything I do. Again, I’m really lucky. I’ve had success in getting my kids on board, at least a little bit, with a lot of what I do, and I’ve also had success in letting them live their lives differently than I lead mine. I’ve also had to deal with other family members and people in my life who haven’t been so supportive — in a few cases, actively against some of the things we’ve tried to do. How have I dealt with all of this? I’d like to share some of what’s worked for me, in hopes that it’ll help some of you. As always, your mileage will vary. 1. Model behavior. The most important thing you can do to convert others to your ideas is to be the best model possible. Walk the walk, and do it visibly, so others can see what you’re doing. This goes for your spouse, for your kids, for family and friends, for co-workers. Just showing how to do it can be a powerful tool indeed. Declutter your life, live more simply, and you’ll go a long way to converting others. 2. Share how important it is to you, and the benefits. This is really the second part of being a role model: as you start to live the simple life, show others how great it is to you, how important a part of your life this is. Talk with them about it, and tell them why you’re doing this. When people understand your motivation, they can start to get on board, or at least stop feeling so threatened. And when they see how great it is for you, how happy it makes you and all the great things it brings into your life, they’ll move closer and closer to your way. 3. Ask for help. One of the first things I did with Eva was ask for her support. Not just her consent, but her physical help. I confessed that I can’t do it on my own and I need her. Many people, if they truly care about you, want to help you. They want you to be happy, and if you tell them how they can help you succeed, they’ll do their best. If possible, make simplifying a team effort — not just something you’re doing, but something you’re all doing together. And make it fun! 4. Educate. The best way to educate others is, as I said above, by your good example. But beyond that, you may want to share books and websites and blogs you’re reading, not in a way that insists that they change, but just to show what you’re interested in and how they might learn more if they’re interested. Documentaries, podcasts, magazines, and other good sources of information are helpful as well. You can’t force people to read or watch, but you can make it available. In addition, talk with them about it — again, not in a pushy way but in a way that shows how excited you are and how you’d like to share what you’re learning about. If they seem put off, don’t drone on and on. 5. Help them succeed. If you do have some success converting some of the important people in your life to your way of thinking, at least to a minor degree, don’t criticize when they don’t do it as well as you’d like, or to the extent you’d like. Instead, be encouraging, be happy for them, and support them in any way you can. Again, make it a team effort. 6. Realize you can’t control or change others. One of the most common frustrations comes when people try to control other people, or force them to change. It’s a recipe for disaster. You can try to control others, but there will always be a struggle, and you’ll always fail to some degree. This applies to your significant other, even to kids. We try to control them but we can’t, not really. Instead, try to influence others, encourage them, support them, help them find happiness. And let go of the need to control. It’s difficult but really essential here. Once you can release that need to control, you’ll find much more happiness. 7. Set boundaries. Once you stop trying to control others, you have to find ways to live together with different goals and different ways of life. If you want to simplify and the others you live or work with don’t, how can you peacefully coexist in the same space? Some possibilities (but nowhere near an exhaustive list): decide who owns what and just simplify your own things; split up the house or office into your area and theirs; find a happy compromise between simplicity and major clutter. 8. Have patience. Don’t expect others to change overnight just because you have. The important people in your life might not get quite as excited about this change, because it’s not coming from them. They might not learn it as quickly as you have, or go quite as far. Or they might not want to change or support your change at all, at first … but later, they might come around. Again, don’t push or be obnoxious about it, but instead be patient, encouraging, with an attitude of sharing what you’re learning and excited about. 9. Change what you can. Sometimes you can’t change everything you’d like, and you have to learn to accept that. Find areas you can control, find places that others will allow you to change, and focus on those. The other areas might come later (or they might not). This is what comes from having others in your life — you give up complete control, but you also get the wonder of sharing your life with other human beings, something I’d never give up. As a Buddhist I must be alert to others feelings. I must act out of compassion with loving kindness, generosity and wisdom. Seeing this young man play goal in a wheelchair only confirmed that I follow the mind...The mind does not follow me. Positive action and "right" living should come as natural as our little goalie was in the net. Meditation will always help this. Being in the present, focusing on the breath and having an active meditation practice leads me down the path of natural living. Natural in the sense that what I do is based in solid compassion and flows into this world as easily as water softly lapping against smooth stones. This is a fantastic piece written by His HoIiness the Fourteenth Dalai Lama in 2008 I found on Alexander Berzin's site. It is certainly worth the full read. Inner peace is related to mental calmness. Physical experience doesn’t necessarily determine our mental peace. If we have mental peace, then the physical level is not so important. Now, do we develop inner peace through prayer? No, not really. Through physical training? No. Just through gaining knowledge? No. Through deadening our feeling? No. But when facing any difficult situation, if, on the basis of full awareness of the benefits and harms of any possible action and its consequences, we face that situation, then our mind is not disturbed and that’s real inner peace. Compassion and having a realistic approach, then, are extremely important. When unexpected consequences arise and they bring about a great deal of fear, this was due to our being unrealistic. We didn’t really look at all the consequences and so there was a lack of awareness and understanding. Our fear came from a lack of proper investigation, so we need to look from all four directions and up and down to get a full picture. There’s always a gap between reality and appearance, therefore we have to investigate from all directions. Just looking at something, it’s not possible to see whether something is positive or negative. But, when we [investigate it thoroughly and] realize the truth about something, only then we can evaluate if it’s positive or negative. So, we need rational evaluation of our situations. If we start to investigate with desire, “I want this outcome, that outcome,” then our investigation is biased. The Nalanda tradition from India says that we need always to be skeptical and investigate objectively all fields, including religion. Now as for lack of peace of mind and dissatisfaction, they come about from having an extreme self-centered motivation. An individual has the right to overcome suffering and to achieve happiness. But if we think of only ourselves, the mind becomes very negative. Then a small problem appears huge and we become unbalanced. When we think of others as being as dear as ourselves, the mind is open and wider. Then, as a result, even a serious problem appears not so significant. So, there’s a big difference in emotion depending on the scope of how we look at things: from our own perspective or from the perspective of everyone. Therefore, there are two elements that are important for peace of mind. The first is awareness of reality. If we approach things realistically, there will be no unexpected consequences. The second is compassion, which opens our so-called “inner door.” Fear and suspicion cuts us off from others. [Another thing that makes us lose peace of mind is worry about our external appearance.] When I first visited Beijing, for example, I had no experience. I was a bit nervous and I had some anxiety. But then I saw that some people, if they’re very concerned about their appearance, their face becomes very red when something wrong happens. But if they are open and don’t care if something goes wrong, then there is no problem. For example, in 1954, when I was in Beijing, the Indian Ambassador came to see me in my room. The Chinese made huge preparations with flowers, fruit and so on, and they insisted that we have a Chinese interpreter. So it went from Tibetan to Chinese to English, although some of my officials knew English. At one point, the pile of fruit toppled over and then the Chinese officials, who had been very stuffy and formal before, got down on their hands and knees and crawled on the floor. If they didn’t care before about their appearance, it would have been no problem. But it was very embarrassing for them. In Mexico City once, at an interfaith meeting, there was one Japanese priest. He had a rosary of beads in his hand and the string broke. He kept on thumbing his finger through the rosary even though the beads were all over the floor. He was too embarrassed to pick them up. He was uncomfortable because of being so concerning about his appearance. Anyway, compassion, altruism, truthfulness, honesty – these are very important for bringing about inner calm, not concern about your external appearance. I never say that I am something special, but from my own experience I have no feeling of worry about how to behave in front of thousands of people. I talk to thousands of people at lectures such as this and for me it’s like speaking to just a few people. If some mistake happens, I’ll forget about it, no problems. If others make mistakes too, I just laugh. Now as for inner transformations, an inner transformation is speaking about an emotional level. There’s one category of inner transformation that comes about naturally through age and another that can come about through external circumstances. These types of transformation come about automatically. Others come about through effort and this is the main one that we want to bring about: inner transformation according to our wishes. This is the main meaning. Now here, we are not talking about our next life, salvation, or heaven, but how to maintain this life in a more happy and calm way despite difficulties and problems. For this, the major factors that we have to deal with include anger, hatred, fear, jealousy, suspicion, loneliness, stress, and so on. All of these are related to our basic mental attitude. They come about from being too much self-centered. For us, when we experience these things, the self is of topmost importance and this brings about jealousy. From cherishing ourselves, then, the slightest irritation brings about anger, and anger brings about fear. We don’t care about others; we only care about ourselves. And we think that others also only care about themselves and that they certainly don’t care about us. Because of that, we feel lonely. We think, “I can’t rely on others,” and so we get suspicious of those in front of us, those to the side, and, even more, those behind us. Take the example of a yellow flower. If I say, “It’s white,” due to some cause and then later consider it yellow, these are two contrary perspectives. They can’t be held simultaneously. As soon as there’s a perception of yellow, the perception of white immediately disappears. They are directly opposite to each other. So, one method of bringing about inner change is to produce an opposite state of mind. As for how to train our minds [or cleanse our attitudes,] the question is whether this needs to be related to religion or spirituality, and I think it basically has nothing to do with religion. As for spirituality, well, there are two types: one with religion and faith and one without them. The one without them is what I call “secular ethics.” “Secular” doesn’t mean a rejection of religion, but rather an equal attitude toward all religions and respect for all of them. For example, the Indian constitution has respect for all religions; it’s a secular constitution. Therefore, even though the Parsees or Zoroastrian community is very small in India – there’s only a hundred thousand members compared to the over billion people in India – yet they have an equal position in the military and in the political sphere. When we talk about the secular ethics, this also implies ethics for nonbelievers. We can extend our ethics and respect even to animals on the basis of secular ethics. And, also, another part of secular spirituality or ethics is to take care of the environment. So, secularly, we need to cultivate our mind; we need to cultivate secular ethics. Six billion people on this planet need to do that. Religious systems can help make that universal cultivation of secular ethics grow stronger– they are an additional method to help with that growth. They are certainly not intended to reduce it. And so, when we speak about secular ethics, we have a nonsectarian attitude. If any religious person following any type of religion works to further secular ethics, then they’re really a religious practitioner. If they don’t, then even if they go to a church or a mosque or a synagogue, I doubt if they’re really a sincere religious practitioner. He who loves, never grows old. God is a shining example. You may feel that in this world, some people are very bad. But by feeling that a person is very bad or by hating that person, are you gaining anything? That particular person has not gained anything from your hatred. And what have you done? By hating that person, you have lost something very sweet in yourself. Why should one lose something very precious of his own, just because he wants to correct someone by hating him? In this world, we have to be very wise. You will say that he is very bad and that you have to do something. But hating is not the right instrument. If you want to use the right weapon, the most effective weapon will be love. He's been a Buddhist monk for more than 60 years, as well as a teacher, writer, and vocal opponent of war—a stance that left him exiled from his native Vietnam for four decades. Now the man Martin Luther King Jr. called "an apostle of peace and nonviolence" reflects on the beauty of the present moment, being grateful for every breath, and the freedom and happiness to be found in a simple cup of tea. But beneath Nhat Hanh's serene demeanor is a courageous warrior. The 83-year-old native of Vietnam, who joined the monastery when he was 16, valiantly opposed his own government during the Vietnam War. Even as he embraced the contemplative life of a monk, the war confronted him with a choice: Should he remain hidden away in the monastery tending to matters of the spirit, or go out and help the villagers who were suffering? Nhat Hanh's decision to do both is what gave birth to "Engaged Buddhism"—a movement that involves peaceful activism for the purpose of social reform. It's also what led Martin Luther King Jr. to nominate him for a Nobel Peace Prize in 1967. As part of his denunciation of the violence inflicted on his countrymen, Nhat Hanh founded a relief organization that rebuilt bombed Vietnamese villages, set up schools and medical centers, and resettled homeless families. Nhat Hanh also created a Buddhist university, a publishing house, and a peace activist magazine—all of which led the Vietnamese government to forbid him, in 1966, to return home after he'd left the country on a peace mission. He remained in exile for 39 years. Thich Nhat Hanh—or, as his students call him, Thây, the Vietnamese word for "teacher"—brings along a group of Plum Village monks and nuns to listen in on our conversation. In some spiritual traditions, there is a concept called "holding the space"—or showing up as a compassionate listener. Thây's friends are the space holders who have traveled with him from France, and as we take a photograph together just before our chat, they usher in a peaceful mood by collectively singing a Buddhist song: "We are all the leaves of one tree; we are all the waves of one sea; the time has come for all to live as one." Occasionally people comment that they visited a dharma center -- or were reading Buddhist blogs -- and were disappointed that Buddhists were not perfectly agreeable and free of conflict. I've also heard people say they won't work with a teacher because even highly regarded teachers have been caught being less than perfect -- drinking too much, having affairs, etc. To the first complaint, I'd say -- get real. Nobody achieves perfection of character by walking through a door. People go into practice dragging all of their pain and fear and anger and issues with them. Why should that be less true for others than for you? If you are looking for a happy place where everyone else has achieved Perfection of Niceness and charitably overlooks how screwed up you are, you will be looking for a long time. On the other hand, when you're open to helping other people with their pain and fear and anger and issues, a dharma center might be just the place for you. That said, I know some Buddhist communities are more nurturing than others. So if you've really tried to be part of Buddhist community and it isn't working out, this is not necessarily your fault. I think the quality of the community is just as important as the quality of the teacher, and not all teachers are skillful at growing harmonious communities. The teacher issue is a little more difficult. We like to think that enlightenment is like an on/off switch, and once it's turned on that individual will be infinitely compassionate and wise and free of quirks. However, after long years of observing teachers I'd say "enlightenment" is more like a "dimmer" switch that allows a room to become brighter (or dimmer) by degrees. But no matter how bright the room gets, there is always room on the dial to brighten it a little more. The practice never ends. The next question might be, is "enlightenment" just a sham, then? No, but I'd say it's probably the case that enlightenment isn't what most of us think it is. In Mahayana, it's understood that we are all "Buddha nature." So, we are all already enlightened, and we are all perfect and complete just as we are. At the same time, to one degree or another we all have issues and sometimes behave badly. Practice is about bringing that into harmony and allowing the perfection to manifest and be active in the world. That's how I understand it, anyway, but please note that I'm not a teacher. However, just because a teacher has not reached some arbitrary state of Absolute Bodhi Perfection doesn't mean he or she can't help you. The purpose of a teacher is not to somehow "infect" you with enlightenment, but to guide you and show you where you are sticking. Frankly, to do that, a teacher doesn't have to be perfectly awake, assuming there is such a thing, just more awake than you are. The alternative to any teacher, good or bad, is your own ego. Egos make the worst teachers. Yes, there have been some episodes in which teachers with the proper institutional "cred" turned out to be harming students more than helping them. There have been some well-known teachers whose behavior was bad enough to warrant public criticism and even dismissal. I don't think there are any hard and fast rules about when to be forgiving of a teacher's quirks, and when to walk away. Ultimately you do have to trust yourself. That's part of the process. Within the Zen tradition, I'd say to be very wary of any teacher who expects to be worshiped and considered infallible by the students. In a healthy situation, there is a sense of mutual respect and trust between students and teachers, and a sense that everyone is working together to support each other's practice.